This nutritional supplement contains two powerful ingredients that work together to support immunity, fight free radicals and help your body absorb calcium as well as phosphorous. 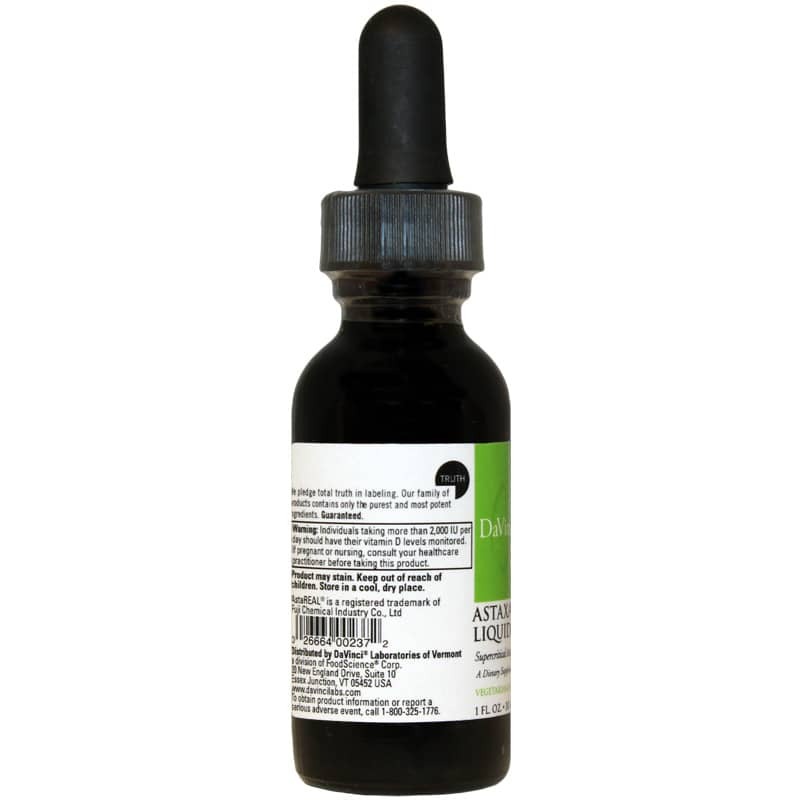 Astaxanthin D3 Liquid from DaVinci Laboratories is a vegetarian and gluten free supplement that forges a potent partnership between two nutrients that can have a positive impact on your health. Astaxanthin is a carotenoid with well-known antioxidant potential. It's found naturally in certain types of algae, and is a pigment that gives seafood like lobster and salmon that pinkish color (pink flamingos too). DaVinci Laboratories uses a special extraction process to provide you with superior quality astaxanthin that comes from its natural source. This advanced technology (Supercritical fluid extraction) uses CO2 rather than solvents like hexane or ethanol and results in highly-concentrated astaxanthin. This phytochemical has a long list of potential benefits. That includes support of skin healthy, athletic performance & exercise recovery, cognitive function, nervous system health, vision and heart health. The best way for our bodies to absorb Vitamin D is a healthy dose of sunlight. But we all know - thanks to the modern lifestyle - that's not always easy. As a result, many of us lack this important nutrient. Vitamin D is needed to help your body use calcium to support strong bones. It also plays a role in maintaining normal blood pressure, nervous system function, immune system support and overall cardiovascular health. This is a supplement formulated to help protect your body in more than just a few ways. 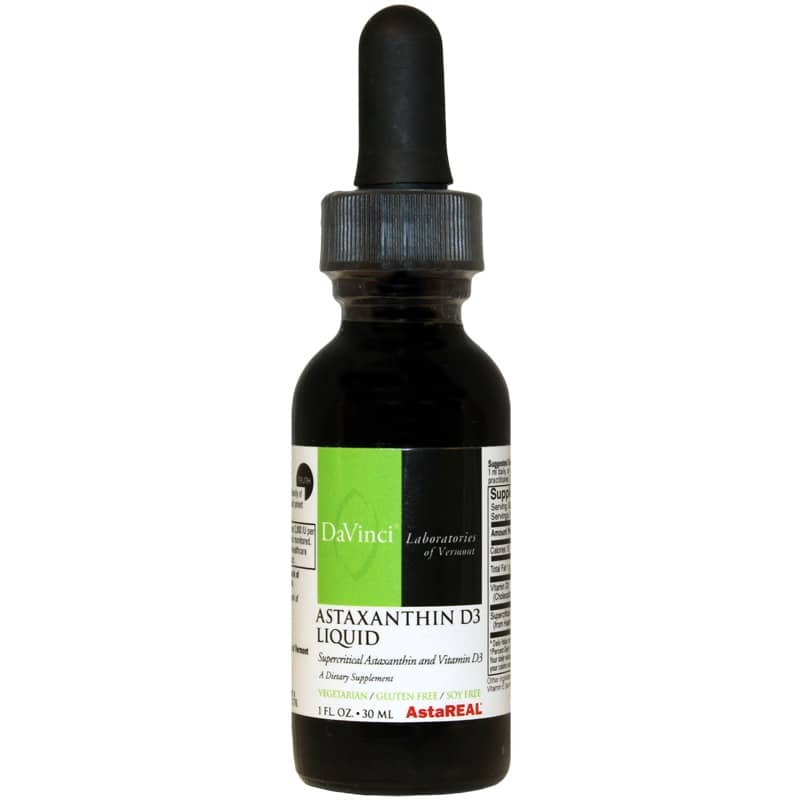 Choose Astaxanthin D3 Liquid from DaVinci Laboratories today! 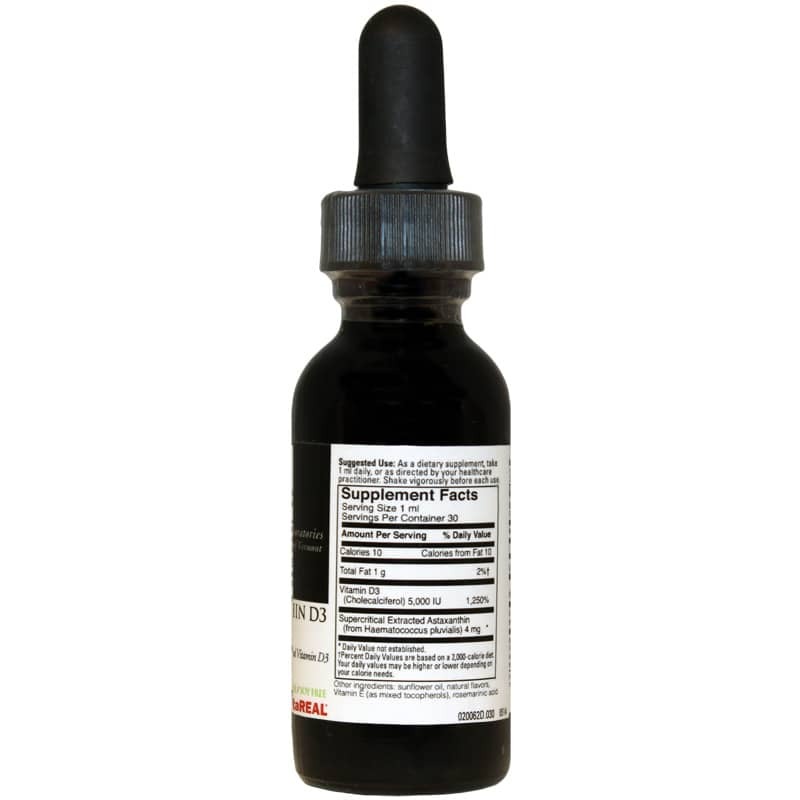 Adults: As a dietary supplement, take 1 ml daily, or as directed by your healthcare practitioner. Shake vigorously before each use. Individuals taking more than 2,000 IU per day should have their vitamin D levels monitored. If pregnant or nursing, consult your healthcare practitioner before taking this product. Keep out of the reach of children.